The Epcot International Flower & Garden Festival is a popular event (amongst visitors and locals alike) at Walt Disney World Resort that takes place each year at Epcot. This year, welcome the spring season with brilliant gardens, fresh flavors, a rainbow of color, and special entertainment February 28 through May 28, 2018, only at Epcot! Outdoor Kitchens, allowing guests to sample a wide variety of specialty beverages and international foods made from fresh, spring produce at 13 outdoor stations throughout the World Showcase. Topiary Displays, Exhibits, and Gardens: Incredible displays of garden sculptures shaped as Disney characters can be seen around the park. Don’t forget to walk through the magical butterfly garden! Special play area’s for kids can also be found throughout the different garden exhibits. Special Tours: Guided tours are available for Gardens of the World, English Tea Garden, and Behind the Seeds. Garden Rocks Concert Series: Listen to live music at the America Gardens Theatre! On select weekends, concerts will be scheduled from March 2 through May 28, 2018 with over a dozen top musicians and bands. Click here for more information. To enjoy this special event, valid park admission is required. Please click here for more information on ticket prices. While most Epcot International Flower & Garden Festival events are included with your general admissions ticket, some events may require a separate fee. Click here for more information. 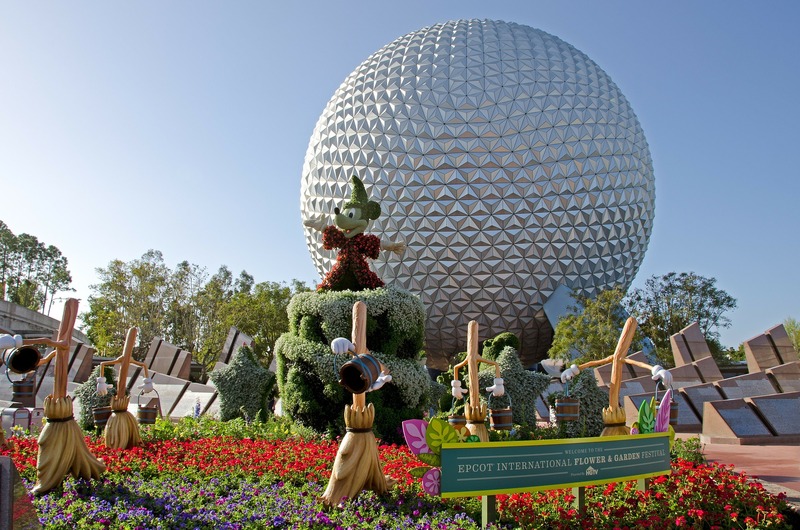 For more information about Epcot’s Flower and Garden Festival, click here.